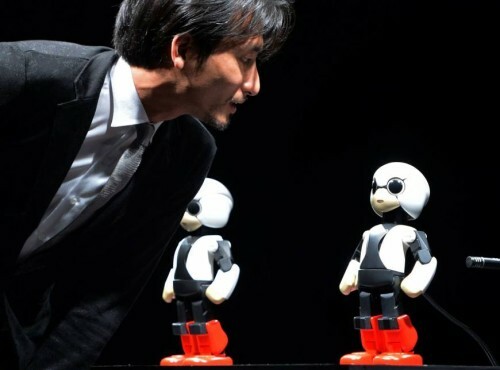 A talking robot that will accompany a Japanese astronaut in space this summer says the cosmic tour will be one giant leap for androids everywhere. In a scene straight out of “Star Wars,” the pint-sized Kirobo fielded questions from curious journalists who asked what it was going to do in space. “This may look (like) a small step, but it will be a big stride as a robot,” the black-and-white humanoid robot outfitted with bright red boots told a press briefing in Tokyo. Its creators said they were sending the robot into space to act as a chatting partner for astronaut Koichi Wakata, who is set to arrive at the International Space Station later this year. Kirobo is to arrive in August in what its handlers say is the first visit for a robot at the space station. Wakata will also be the first Japanese astronaut to command the ISS.